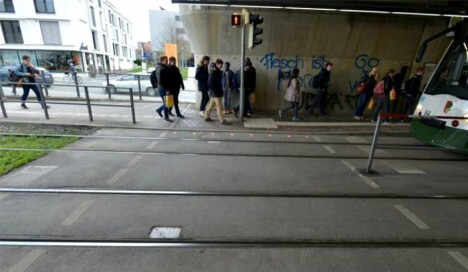 Walkers preoccupied with their mobile devices as they traverse Augsburg, Germany, are starting to notice something new in their peripheral vision: sidewalk-embedded traffic lights designed to let them know when to stop and when to go. The city, concerned about people looking down and ignoring traffic signals, decided to step in with this new invention. 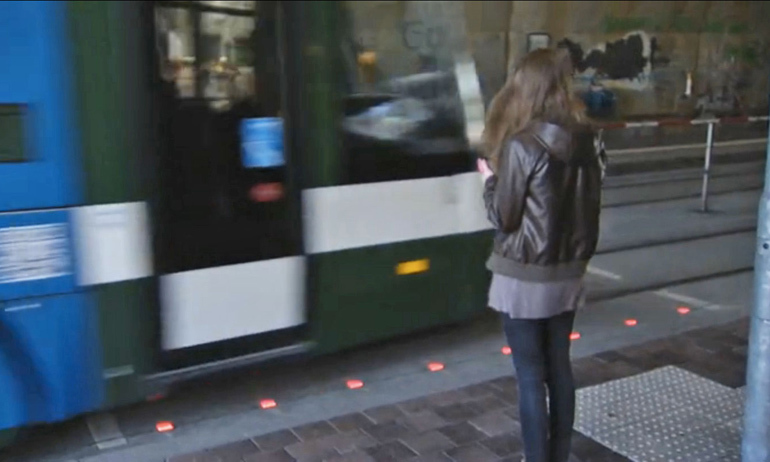 The design addresses both people who are at risk of walking out into active lanes, but also lets those standing and staring into their phones when they can safely walk again. Currently, the city is testing these out in two prime trial locations where railroad tracks run roughly at the same level as sidewalks, making it easy for people to miss physical cues (like a change in pavement elevation) and where a vehicle is less likely to be able to stop in time (train versus car). 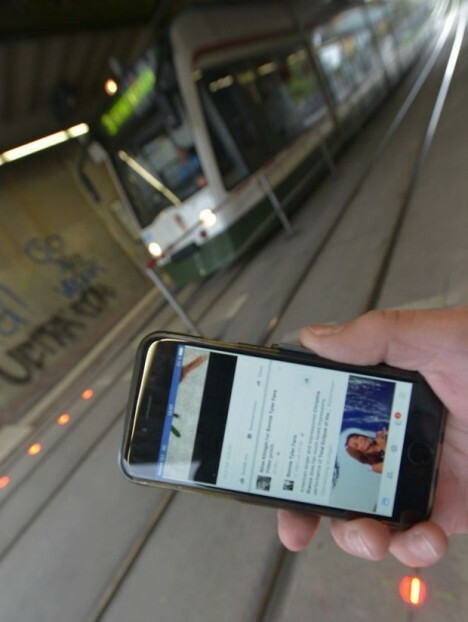 A survey conducted in Berlin and several other European countries revealed that nearly 20% of pedestrians (mostly younger people) missed the signal change because they were distracted by their phones. Whether the city should accommodate such behavior is, of course, another question entirely.